Here on Leading Lines, we’re exploring the future of educational technology, and we have a team of producers who make sure that we consider all kinds of topics, including ones some of us may be skeptical about. Producer Gayathri Narasimham, associate director at the Vanderbilt Institute for Digital Learning, is very interested in virtual reality and its potential in education. 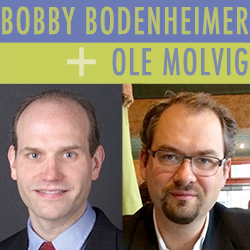 In this episode, she shares an interview with two Vanderbilt faculty—Bobby Bodenheimer from computer sciences and Ole Molvig from history—who co-taught a course on virtual reality. They discuss the challenges they faced in creating their course on virtual reality, and some of the lessons they’ve learned while teaching students an emerging technology.